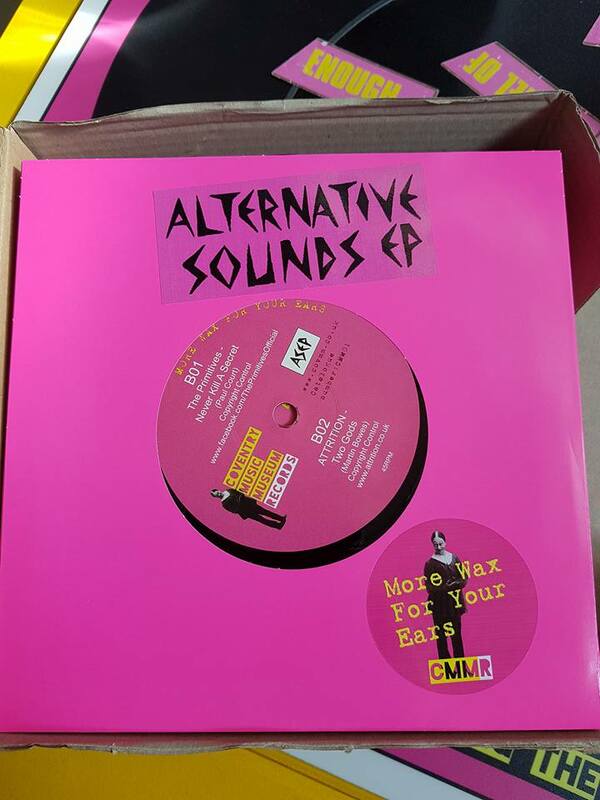 First Release on the COVMM label! Visitors planning to stay in Coventry will find useful information at Hotels Combined – offering an extensive selection and good deals. 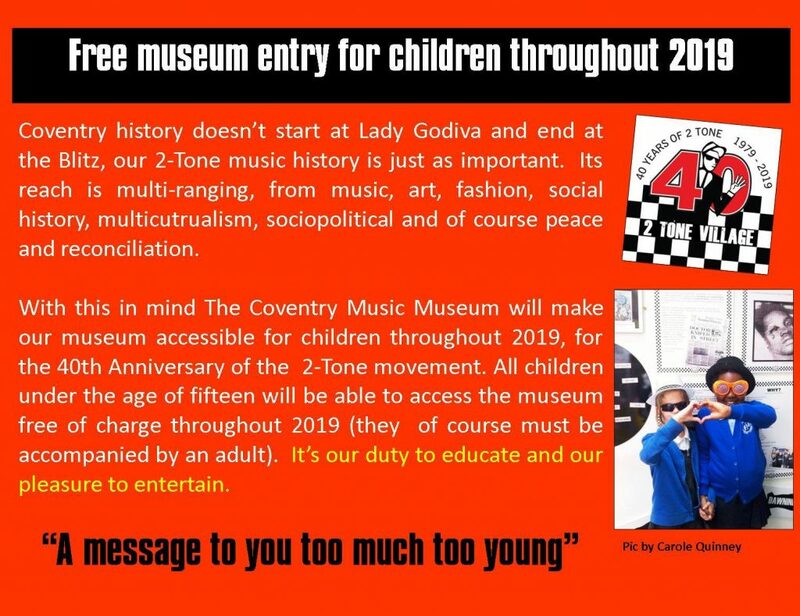 At the Coventry Music Museum, we tell the real story of our musical heritage, going right back to the Roman occupation.We stop along the way at Music Hall, 50’s Rock ’n’ Roll, the 60’s Beat scene & we even have the Lennon Bench, commemorating the famous ‘Acorns for Peace’ event. 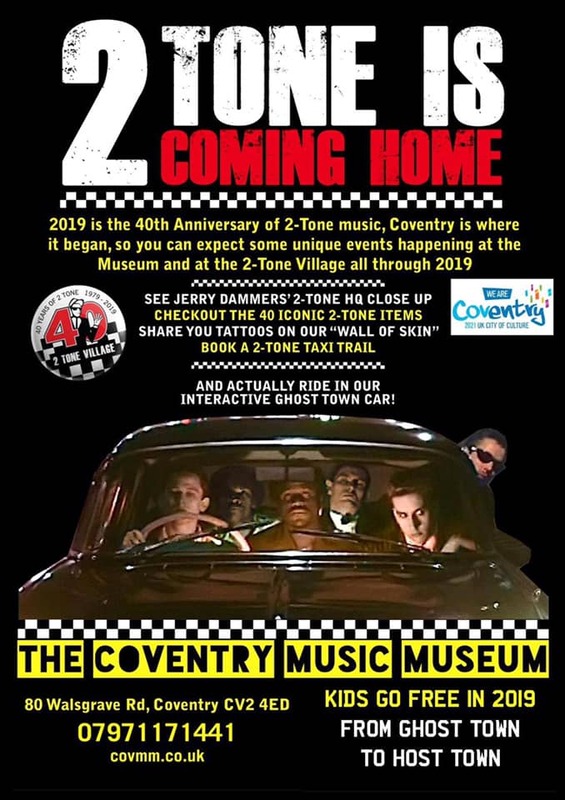 There’s the 70’s, when Coventry ruled the charts on both sides of the Atlantic with its trademark fusion of ska and punk: 2-tone. 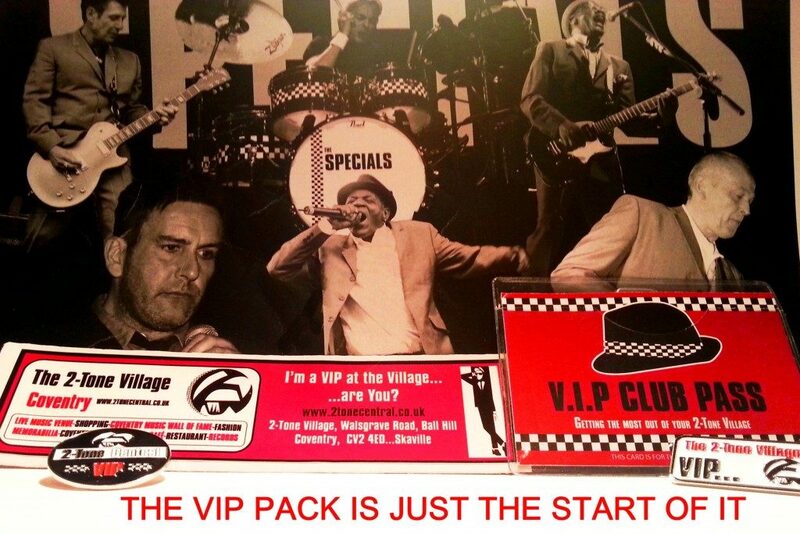 Our 80’s area celebrates Hazel O’Connor, The Primitives and of course, King. In the 90’s we go all Bhangra, then we celebrate Dave Willetts in Phantom of the Opera (we even have his original Phantom mask). 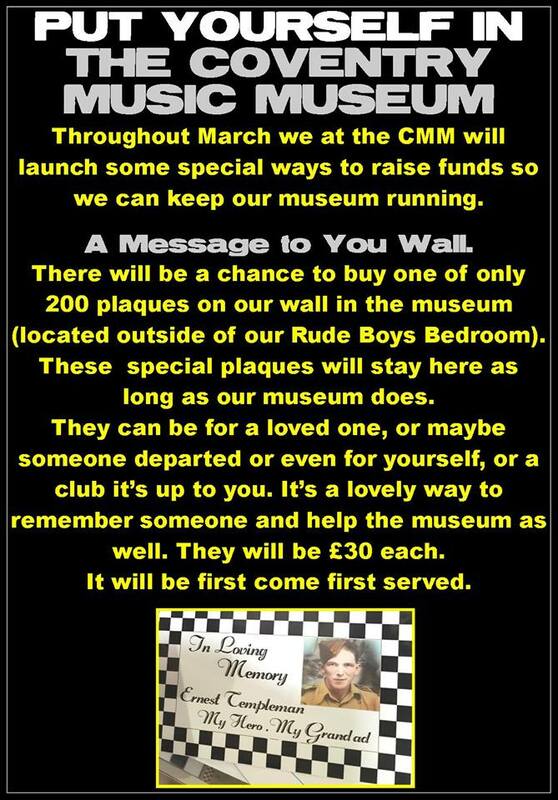 Now it’s The Enemy‘s time, with many unique items from Coventry’s current hitmakers here on display. 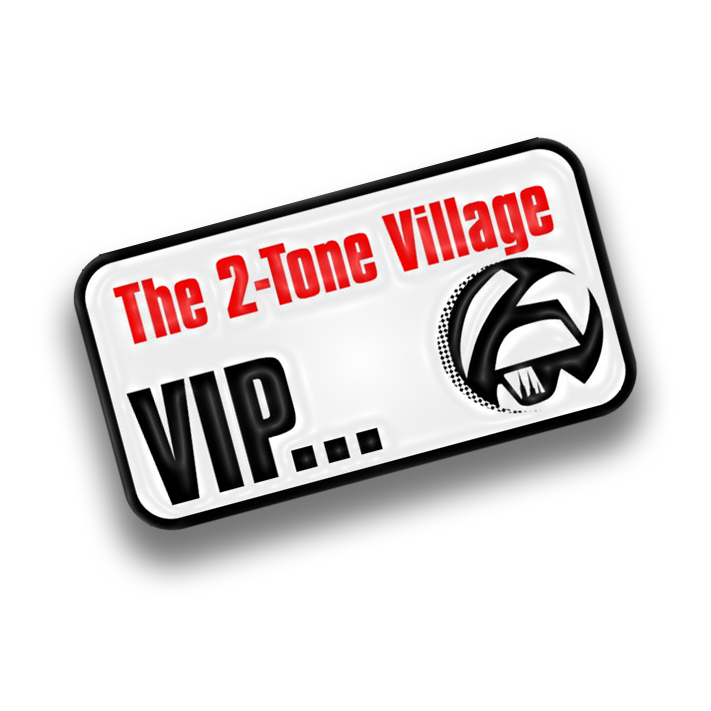 Always keen to recognise and promote new talent, look out for our Artist of The Month! we are also open on Bank Holiday Mondays [hours as for Sundays]. 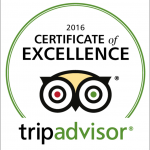 Needless to say, the whole museum team are delighted, and extend our thanks to all the music-loving visitors who made this possible. 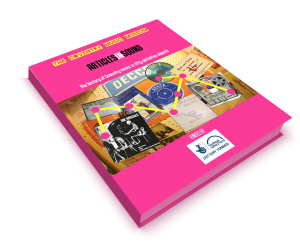 Actually two books in one, Articles In Sound is a fascinating history of Coventry and Warwickshire music, as defined through a tapestry of 50 objects; when opened at the other end, the book provides a clear, concise and up-to-date guide to the museum, its displays and exhibition areas. 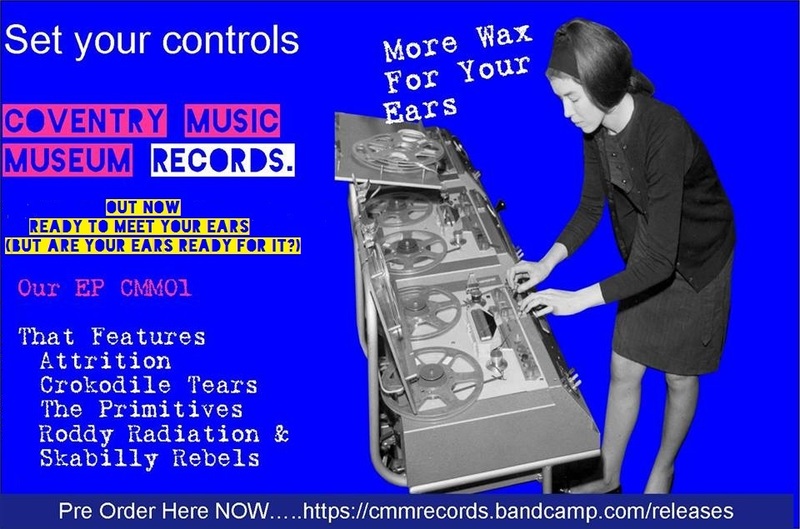 There is also a new Web site for Articles In Sound – drop in and see what it’s all about! Free to download, Articles In Sound has its very own, interactive app. Our current Artists of the Month have been billed as the most exciting band to come out of the city in a decade. 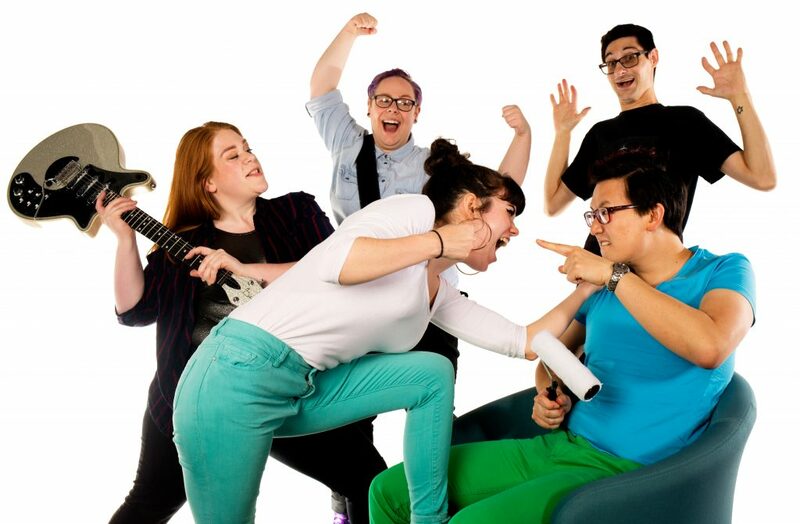 Duck Thieves formed in 2014 when front man Justin Wing Chung Hui asked his fellow band mate Michelle Bailey-Le Long and ex-band mate Cait Buckley to join him on a misadventure of a lifetime. 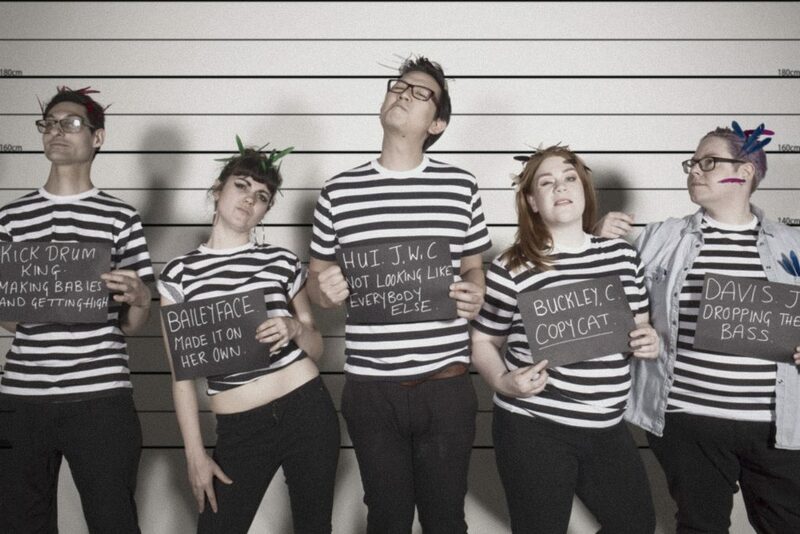 They are described as Indie Panto Pop with a slice of punk performance art thrown in. The two newest members Jessamy Davis and Steven Shelly joined them recently and they continue to bring songs that are inspired by personal story telling, feminism, standing up to racism and B-Movies. 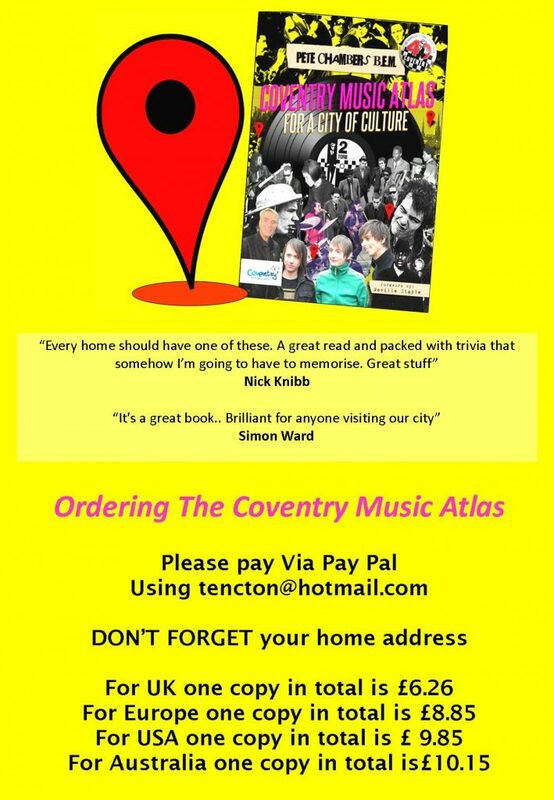 They have released 3 EPs on local bedroom indie labels, have garnered airplay on BBC introducing Coventry and Warwickshire, been marked out as best support act in by Birmingham Live and have played on the main stages of Coventry Pride and Godiva Festival. The band’s name comes from the first film ever to be shot in Hong Kong called ‘Stealing a Roasted Duck’ (偷燒鴨). Due to the Japanese destroying film to make bombs with nitrate during the occupation, no copy of the film exists. There is doubt to whether the film even actually existed. Visit the Artist of the Month display; check them out! Duck Thieves: we welcome you! 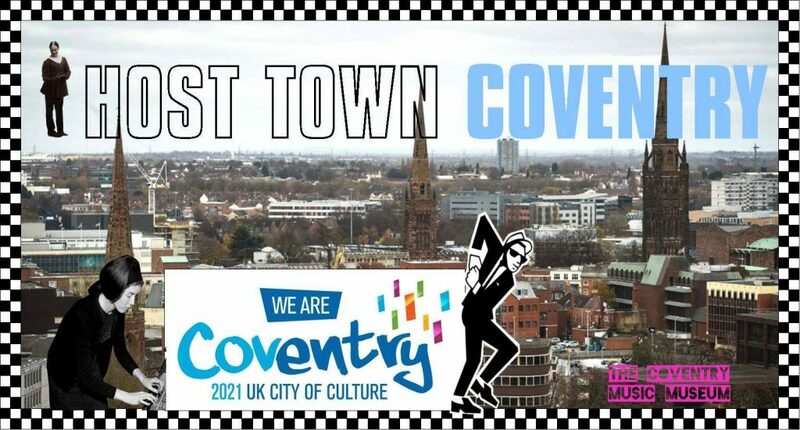 Announced Thursday, 7 December 2017, Coventry is to be the UK’s City of Culture 2021. 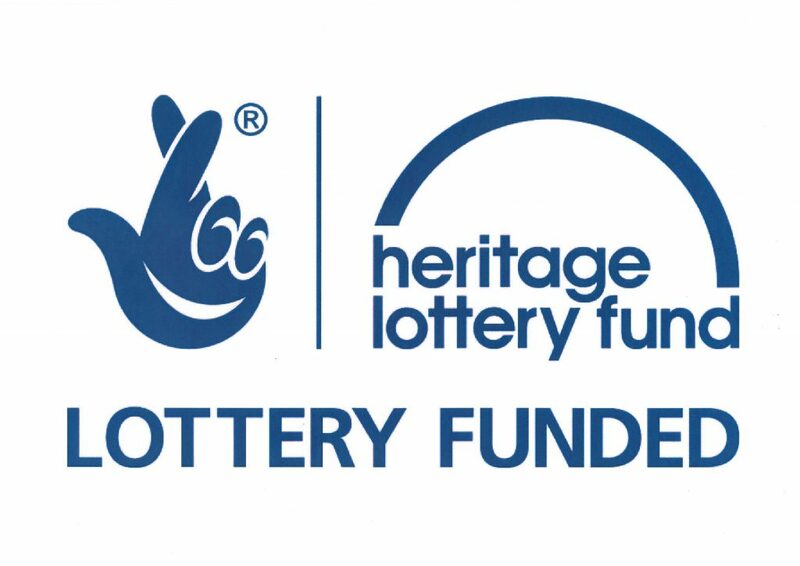 This is a truly outstanding achievement for the City of Coventry. 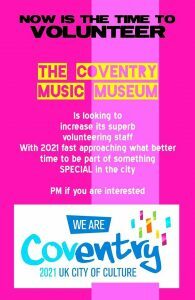 Needless to say, Coventry Music Museum stood strongly behind this bid, and we thank all our visitors, music-lovers, musicians and friends, who supported our efforts to help seal the bid.